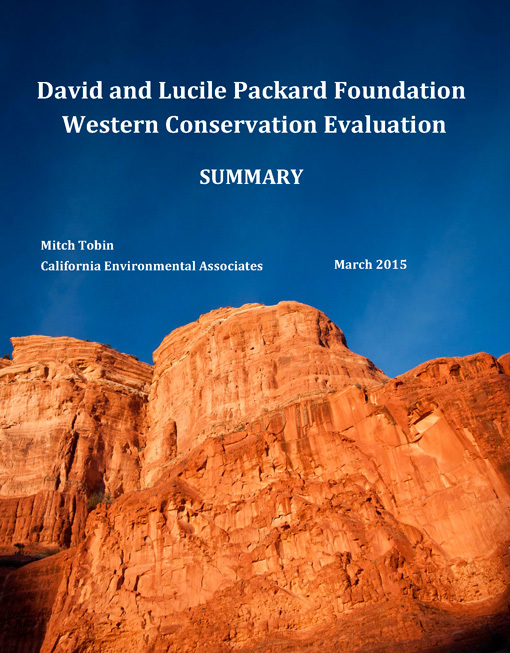 From 2010 to 2014, I served as a third-party evaluator of the David and Lucile Packard Foundation’s Western Conservation Subprogram. My evaluation used both quantitative and qualitative techniques to assess the impact of the Foundation’s investments. From 2008 to 2013, the Western Conservation subprogram invested more than $122 million to study, understand, protect, and restore biologically important and iconic regions of western North America. In total, the Western Conservation Subprogram contributed to the protection and better management of over three million acres of land, including 746,617 acres protected through land or easement purchase. My report details the successes, challenges, and lessons learned throughout the subprogram’s history.